Eanach Chuain nó Eanach Dhúin? Rinne na Ceithearnaigh Coille íonsaí ar an chomhartha sin - caithfidh sé gur dheisigh fórsaí gallda é arís chun a gcuid bréaga lófa a chur in iúl. 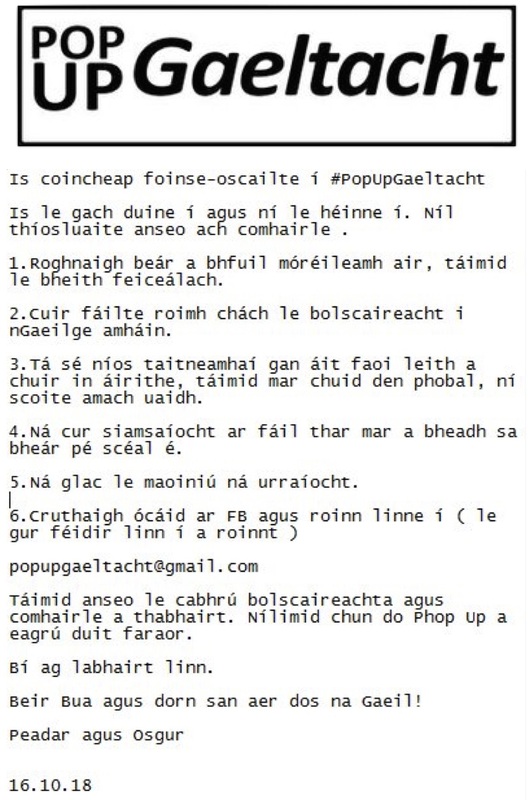 Ceist mhaith! Eanach Dhúin atá ar an áit anois ach tá mé ag ceapadh gur Eanach (nó Anach) Chuain a deirtear san amhrán de gnáth! Tá comhartha ar Bhóthar BÁC agus tá ceann eile Béarla ar an mbóthar ó dheas go Co an Chlár....obair le deanamh?